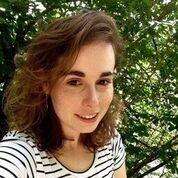 The Sylvia Forman Prize for outstanding undergraduate student paper will be awarded to Caroline Vellenga-Buban, for her paper “Queer and Mainstream? LGBT Parents and American Family Values,” advisor Olga Gonzalez (Macalester College). Vellenga-Buban’s paper uses ethnographic data to focus on the ways many middle-class, American LGBT parents conform to and resist heteronormative family values. Considering structure, agency, and biopolitics, she argues that many queer families follow many mainstream family practices, in spite of how queer parents are often othered by “family values” rhetoric. Vellenga-Buban also discusses tactics by which parents deliberately subvert heterosexual norms, in a process called “un-mainstreaming.” This paper further informs the argument that queer parents do not necessarily differ from cisgender, heterosexual parents in terms of goals, desires, or practices, based on sexuality alone.